The first launch of the experimental series has 9% of alcoholic volume, 70 IBU and 50 EBC. 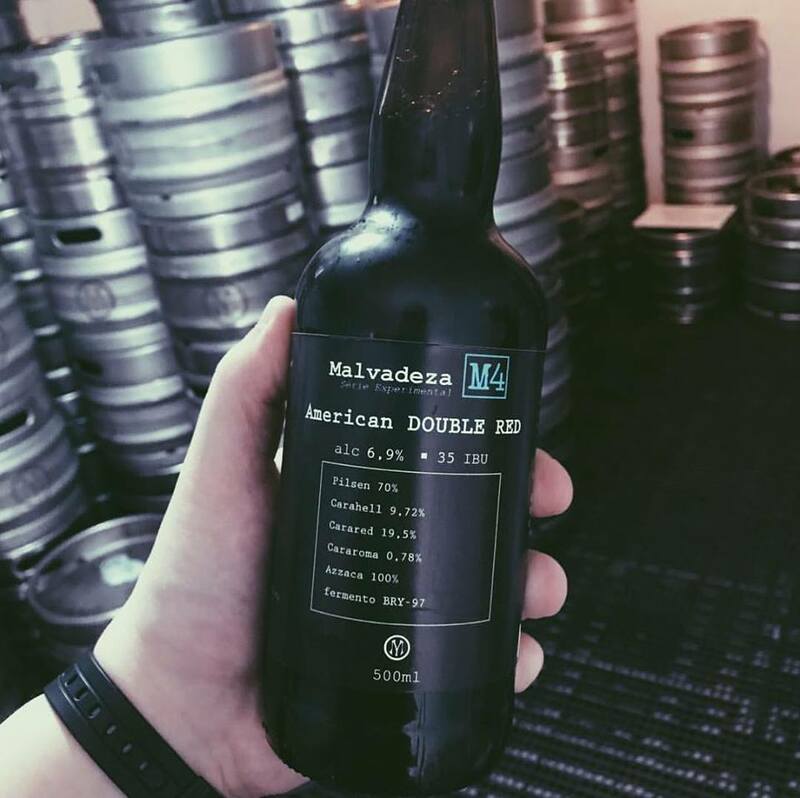 This Black IPA contains in your recipe 6 different types of malts and 6 different types of hops. So it's a strong characteristic beer, which may scare due to high alcohol content and IBU, but which is easy to consume. Type: Black India Pale Ale Percentage of alcohol: 9% Bitterness: 70 IBU Harmonization: Red meats, strong and spicy seasonings. 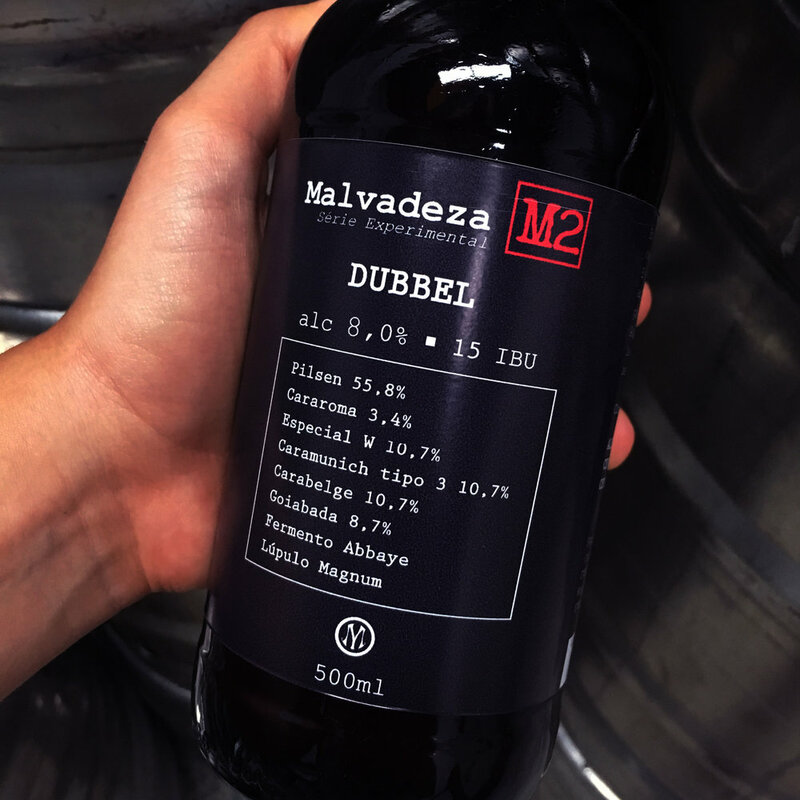 The second launch of the experimental series has 8% of the alcoholic volume, 15 IBU and 45 EBC. This Dubbel, with high alcohol content, carries a touch of guava juice to complement the palate. Type: Dubbel Percentage of alcohol: 8% Bitterness: 15 IBU Harmonization: Pork and cheese. The third launch of the experimental series arrives with 10% of alcoholic volume, 20 IBU and 70 EBC. This Imperial Stout surprises with the unmistakable aroma of coffee coupled with chocolate and the lightness of vanilla, while remaining a strong and dark beer. Type: Imperial Stout Percentage of alcohol: 10% Bitterness: 20 IBU Harmonization: Desserts with red fruits, ice cream and chocolates. Awarded Beer at the 2018 Brazilian Beer Competition (Concurso Brasileiro de Cervejas 2018) in Blumenau - SC. Bronze medal in Imperial Stout category. Our fourth experimental trial launch has 6.9% of alcoholic volume, 39 IBU and 32 EBC. This American Double Red has the balanced aroma, with marked presence. High fermentation beer, sweet stout type. Texture of malt and hop. On the palate the highlight is the hops citrus and the malty flavor creamy. The beer has a dark color. In the aroma stands out the toasted toffee along with the coffee and a light touch of dried fruits. The fifth launch of the experimental series has 6.5% of volume, 15 IBU and 38 EBC. This Weizenbock has light aroma of bread, caramel, dried fruits, cloves and bananas. In the palate, the malted taste is highlighted, slightly sweet. Type: Weizenbock Percentage of alcohol: 6.5% Bitterness: 15 IBU Harmonization: Roast mutton, funghi risotto and desserts. The sixth release of the experimental series has an alcohol content of 6.5%, 50 IBU and 23EBC. This NEIPA (New England IPA) has high turbidity, due to the combination of the amount of protein it has and the English yeast that is used in the brewing process. It has yellowish color and is characterized by a great load of aromatic hops, which brings the tropical and citric fruit flavors.